The period for public comment on the 2016 Draft Vermont Health Information Technology Plan has now closed. Thank you, everyone, who provided feedback and participated in the workshops held across the state. 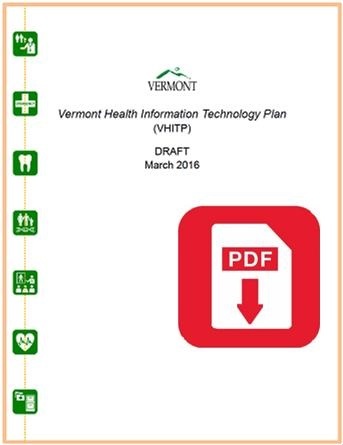 The final version of the 2016 Vermont Health Information Technology Plan will be presented to the Green Mountain Care Board on Thursday, February 25, 2016 - 2:00pm. The final version will be posted after it has been approved.